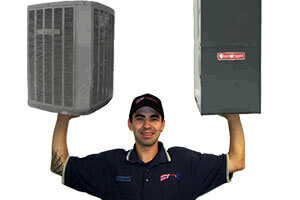 Read the brief bios of HVAC experts at USA Heating, Cooling & Plumbing in Southeast Wisconsin. Welcome to our company. I personally want to thank you for your interest in doing business with us. This website is designed to give you a small insight as to what we have to offer as well as the type of commitment and service we are dedicated to giving you our customer. As much as I would like this website to represent our company, the best way to get to know us is personally. We are very much a family oriented company and we treat people the way we would like to be treated, with respect and a concern for not only giving the customer what they need but also doing it with honesty, integrity, quality and all at great pricing. 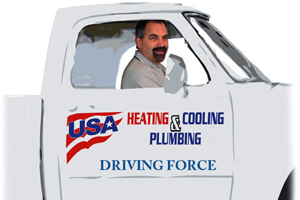 Hey Pete here, I’m the Owner/President of USA Heating, Cooling & Plumbing in Southeast Wisconsin. I have been in this line of work since my apprenticeship in 1979 (wow that’s a long time ago). I love owning this company and working with a great staff of employees as well as all our customers. Doing our monthly radio show on WISN is a blast and I suggest tuning us in. I have two kids, Nick & Amanda, I enjoy riding my Harley, flying, boating, waterskiing and fishing. Life is good and God Bless. Hi, my name is Nick. I’m the Operations Manager for the HVAC department. I have been working in HVAC for 12 years (2001) and graduated from UW-Whitewater with a bachelor degree in Business Administration. I enjoy playing softball and golf as well as riding my Harley. I also like watching the Brewers and Packers when not working as there is nothing like hanging with my friends while tailgating. Learn more about our HVAC Services. 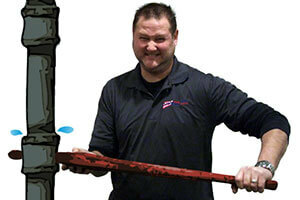 My name is Steve and you may know me as the plumber who really enjoys lunch from our many radio ads and shows. Well there is a bit more to me than a plumber who enjoys a good lunch. I am married to my extremely beautiful wife Megan for the past 6.5 years and counting. We have two amazing children: a son, who is just about to turn 3 and a daughter, who blessed us with her presents in June of 2016. As many of you know with small children life outside of work is extremely hectic, but at the same time very rewarding! We also have a dog (Vizsla) named Phoenix. The dog is loving/hating all the extra comotion around the house, it just depends on the day. In the very rare free time I do have I really enjoy playing golf and softball. Even though after many years of playing golf I still can’t figure that game out!! I became a master plumber in February of 2009 and started working for USA Heating, Cooling, and Plumbing. I feel it is my responsibility to make sure you, my customer, get the highest quality service. I train my techs to go about their work with honest and integrity. Hello, I’m Kadie! 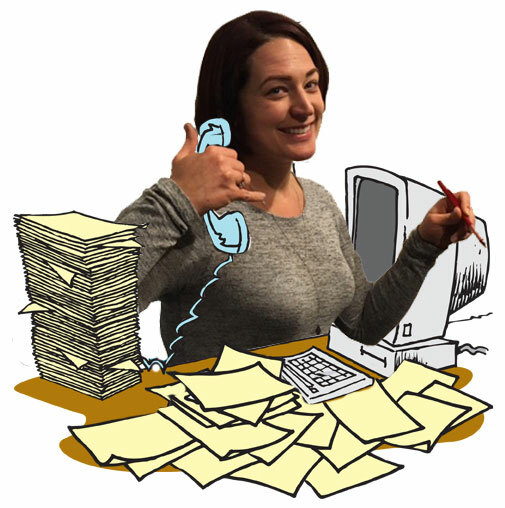 I’ve been working in the office since 2009 and have made my way to office manager where I enjoy utilizing my college education skills as a Small Business Administrator. I am happily married to a Baltimore Ravens/Miami Dolphins/Buffalo Bills/Cleveland Browns fan and continue to persuade him every day that Packers is the only way to go. We have a cute little dog, a German shepherd mix who is incredibly smart & very playful. When I am not in the office providing the quality service to our patrons, you will find me enjoying my passion for wine, riding my motorcycle, hiking, volunteering at homeless shelters, traveling the world, or celebrating with family and friends. We are also a member of NARI (National Association of the Remodeling Industry) and ABC (Associated Builders and Contractors). Contact us today for more information about our company, services or team members.